At the far left, an immigrant family stands at the beginning of their American journey. An uncertain starting point of great hope and great risk. As the viewer scans from left to right, the scenes accelerate in tempo and complexity, as does life, to a critical point at the center where past and present pressures and destinies merge. Continuing right of the center point carries the viewer through a reflective phase and ultimately to the peace and security of home and family. 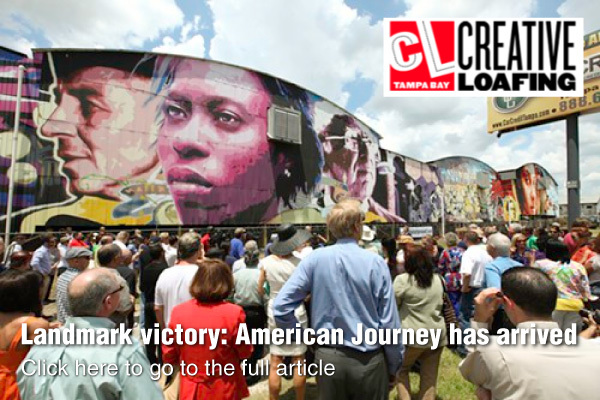 Many of the people depicted in the mural faced hard choices between clinging to the past or reaching for tomorrow. The internal conflicts include the tension between Spanish and Cuban citizens during the Cuban Revolution, the struggle for equality among the black population, the changing role of women, the class conflict between management and working class and the desire to stay near home while at the same time hungering for new experience and opportunity. Throughout this mural shine the values of our nation – a place people from many nations came to enjoy freedom – a place people from many nations came to find economic opportunity – and a place people from many nations came to secure hope for future generations. There is no better example of successful assimilation of vastly different cultures within the United States. This is a legacy to treasure. 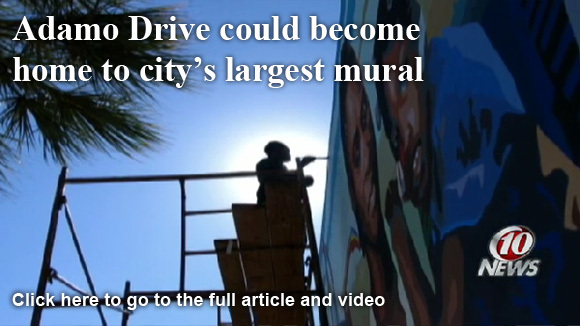 Click here to read more and discover the stories behind the artwork of this mural! 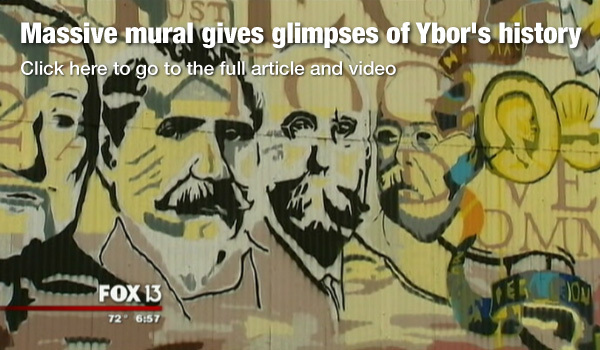 The mural is a public-private effort that has been in the planning stage for the last two years. 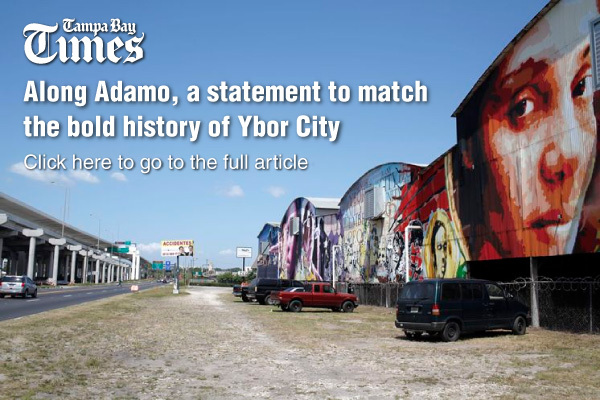 In addition to the City of Tampa and Ybor City Development Corporation, the project has been supported by local businesses, including the Columbia Restaurant Group, Ybor City Rotary Club, Kimmins Construction Corp., Vykin Corp., Actsoft Corp., Hoffman Porges Gallery, Fabricated Products, Ybor City Round Table, Protective Coating Solutions, Inc., SAFWAY Scaffolding and Acccess Solutions, Corrosion Specialties, Inc., Sherwin Willliams Company, Ring Power/The CAT Rental Store, Glendale Painting Corp., Empire Paint, Brandon School of Dance Arts, Salem Enterprise Solutions, Radiant Oil, Bad Monkey Ybor, Special Forces Motorcycle Club, Cars Plus, Rolling Thunder Motorcycle Club, and La Gaceta.